GUYS! I had NO clue i'd be able to post this soon :) i had the best day ever which probably is obvious given the title. So we all know I had an appt scheduled for March 31st for braces removal, but I was sitting in class this morning when all of a sudden my phone starts buzzing. My mom called saying the orthodontist had someone cancel and I was free to go in! the surprise of it all was awesome. needless to say I was in shock. 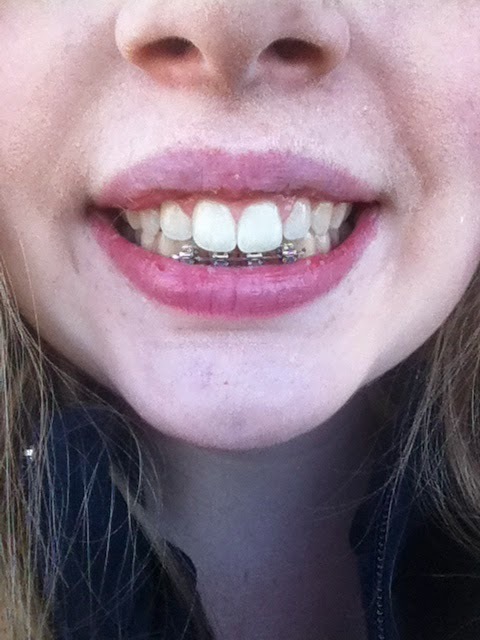 anyway, like i mentioned, I go in next wednesday to get my retainers and last couple of brackets off. last picture taken with braces. woohoo. ill also have an appointment with my dentist/jaw doctor for him to do some shaping/cosmetics on my front top tooth because one of them is chipped and just has a temporary addition on it to make it look normal. plus he will fit me with my special retainer to help protect my teeth from grinding them at night. it was a long 3 years with those things… but i survived. and I'm so glad to be one step closer to normalcy. hoping braces and jaw surgery are completely in my past soon enough. so yeah! off to fill out more scholarship applications. (trying not to let it put a damper on my day) take care all! CONGRATULATIONS! You look gorgeous! I know you are soooo happy! I just got mine off as well, best day ever! Eating is a totally new and wonderful experience! Hope your jaw is feeling good! That's a good break! Having your braces removed a week early must've felt great. I guess by now you'd be in retainers and that much closer to being done with everything. How does it feel that you can just remove them when you're eating your favorite food? Three years is certainly a long time, but it looks like it was really worth it. Cheers! Hi, Katie! 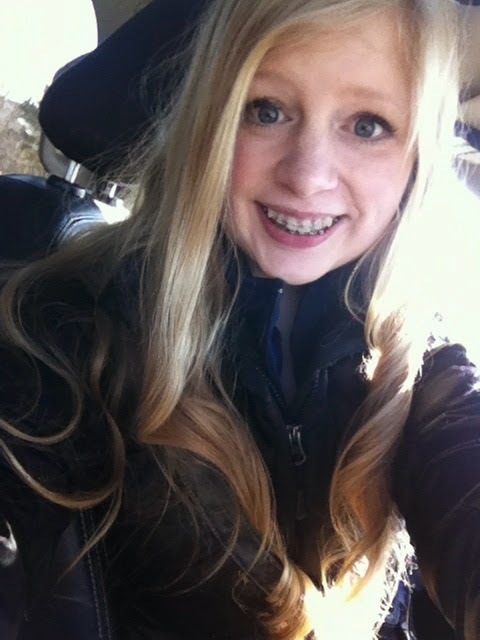 Congratulations on finally being free from braces! It may seem like a long and grueling process, but keep your head up and think of the end of the path, which is a better smile and a higher self-confidence. I definitely enjoyed reading your blog! I love your curls, by the way!